Blizzard's Hearthstone has gone through some major changes in the last year. The biggest shakeup saw the game disallowing many of its older cards in the standard gameplay modes, moving them to a separate format called "Wild." The regular updates the game receives have also been changed. 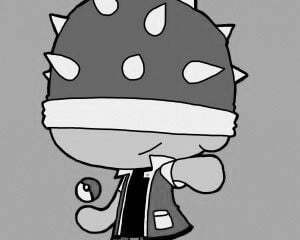 They used to alternate back and forth between campaigns with stories and standard expansions, with the campaigns guaranteeing a specific set of cards for those who completed a series of puzzle battles. Over the last year, the development team has decided to move away from the story expansions, instead releasing just the standard expansions. As a concession to those who preferred the old ways, the last two expansions have included a free mode similar to the older campaigns, though the reward has been randomized. The most recent freebie is some of the most fun I've had with Hearthstone since I started playing, but it doesn't hide the fact that the game has become a lot less friendly to those who aren't willing to pay for digital cards. 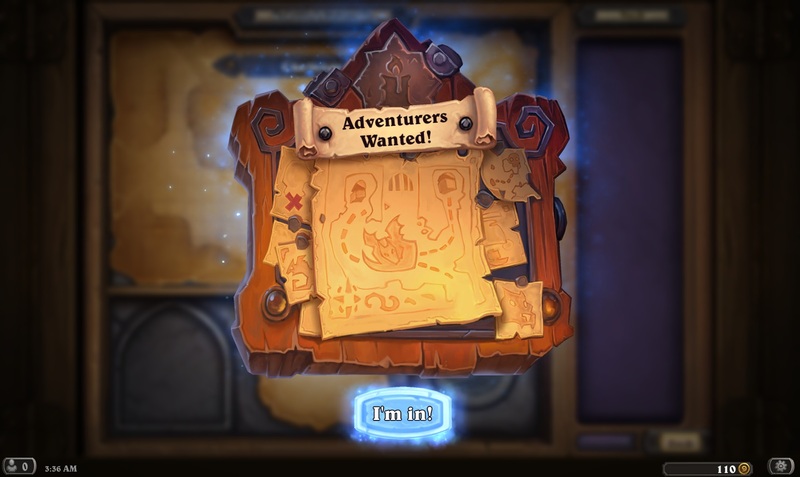 Let's start with that new mode, called Dungeon Run. It's a brilliant combination of a collectable card game and a roguelike, adding more than three dozen puzzle fights to the solo adventures portion of the game. It's couched in the idea of exploring an underground lair, with stronger monsters and more fabulous treasure the deeper underground you manage to explore. Each encounter is a different boss monster with its own special rules and powers to work around, and these are randomized every time you play. Beating a boss earns you a choice of three sets of three cards to add to your deck, and at certain levels you also gain powerful passive abilities or low cost, game changing cards that would be too powerful to play in the competitive game. If you can defeat eight bosses with a single deck you win with that class and can try again with another, but if you lose even once you have to start over. 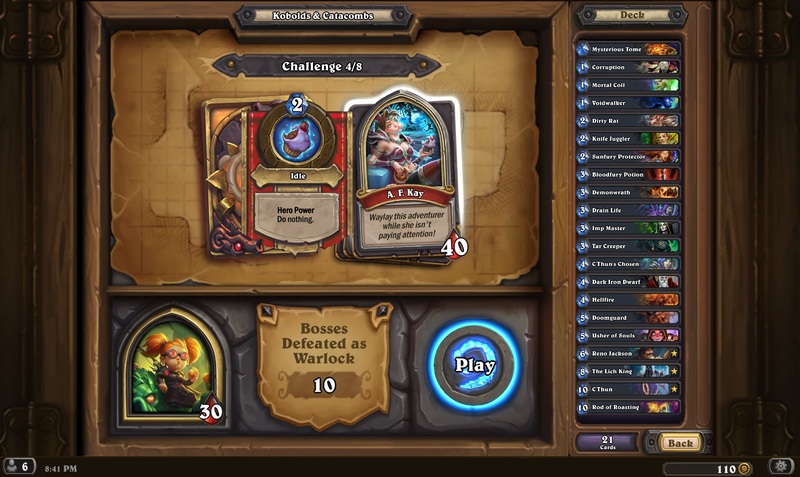 Completing this mode with all nine classes unlocks a special card back, and it's a considerable challenge to do so. The new mode is a fantastic way for new players to learn how to play HearthStone, as it gives them some basic class cards at the beginning and requires learning and crafting a strategy as the game progresses. It's sort of similar to drafting a deck for an Arena run, except the cards you choose tend to fit into a specific strategy rather than being totally randomized. The bosses you'll face are varied and diverse, much like the opponents you'll come up against in ranked play. It's also a lot of fun since it gives you access to some of your class's best cards, assuming you progress far enough to earn them. The random nature can occasionally make it feel unfair though, especially if the boss you end up against completely counters the strategy you had been working towards. The new mode is a blast, and I drained my phone's battery eight times over the first weekend after release. It's great to have some single-player content to play when I don't want to face off against a human opponent, and the random bosses mean it's always a challenge to finish an entire run. As for the expansion cards themselves, they're... fine. The new Recruit mechanic lets you pull a card directly from your deck onto the battlefield, similar to Barnes or Y'sharrj's special abilities. It works better with creatures who do something at the end of your turn or when they die, and Battlecry minions who do something when they're played from your hand aren't triggered by the mechanic. This completely invalidates the Grimy Goons strategy of buffing cards in your hand before they hit the table, but the Gadgetzan expansion is rotating out soon anyway so it's not a huge loss. The spellstones are far more interesting, adding a risk/reward mechanic to some spells that get more powerful if you meet certain requirements before casting them. Each class also gains ten new cards that can be unwrapped or crafted, including a legendary minion and weapon. Every player who logs in during the promotional period gets one of these weapons for free, as well as the legendary minion Marin the Fox. The weapon you get is randomized, which is unfortunate as some are considerably more useful than others. The Druid's Twig of the World Tree works like Astral Communion without a downside, and the Paladin's Val'anyr fits the class perfectly, discouraging the opponent from trying to break the weapon early due to a powerful Deathrattle effect. On the other end, the Rogue's Kingsbane requires a deck to be built around it, and the deck probably won't end up being very good. Far too many decks are running weapon destruction cards right now to be able to get much value out of Kingsbane. 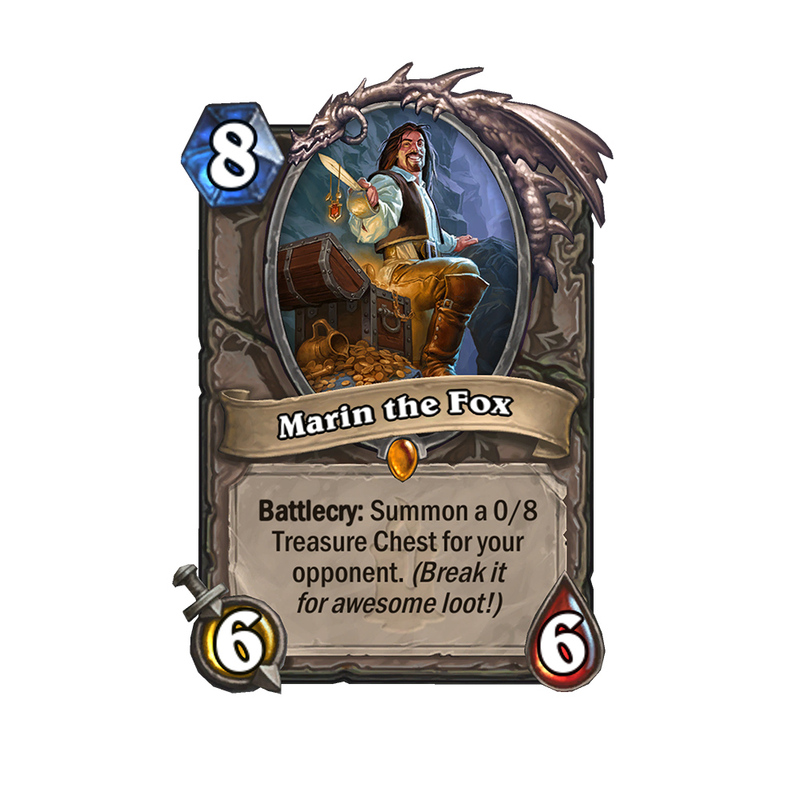 The problem many players are facing is a lack of resources needed to craft new cards. You can break down cards you don't want into a resource called Arcane Dust, and each card you break is worth about a quarter of what it would cost to craft a new copy. Back when Whispers of the Old Gods and Mean Streets of Gadgetzan released, each class got one legendary minion apiece, and all other class-specific cards were epic or lower. By focusing on a specific class and melting down anything you didn't intend to play, it was possible to build a very competitive deck without spending additional money for packs. Ever since Un'Goro, each class has received two legendary cards in every expansion, effectively doubling the cost of entry if you want to be able to play with all the toys. Blizzard has made some changes to make things slightly better for the consumer, and you'll no longer get any duplicate legendaries in packs. Doing daily quests to earn in-game money can net you a free pack every two to three days, and you can earn one per week through the "Tavern Brawl" weekly event. But the game feels pretty stingy in how many free packs you can earn, especially when most you open will have four commons and an uncommon card at best. 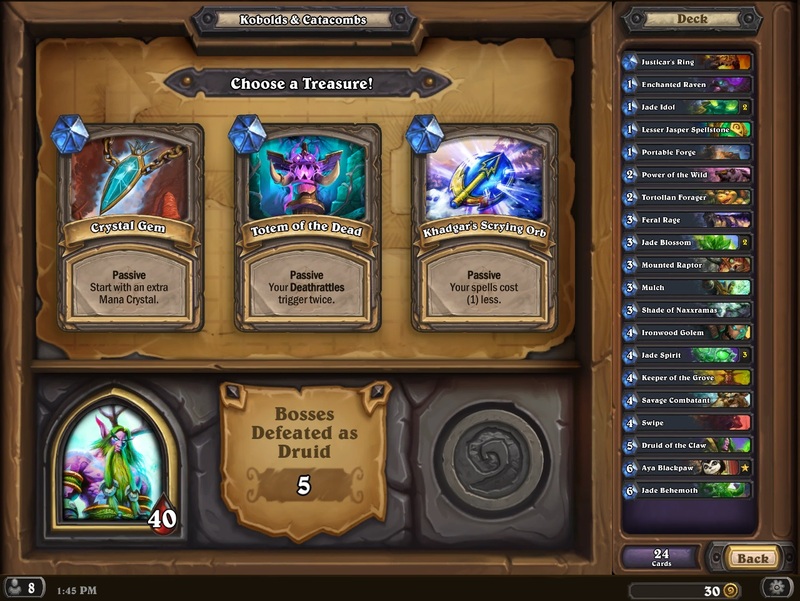 For example, beating the Dungeon Run with all nine classes nets you a cosmetic card back and no other rewards. You do earn some bonus packs just for trying it out, but there's no two ways around it; the game has gotten more expensive since I first started playing. 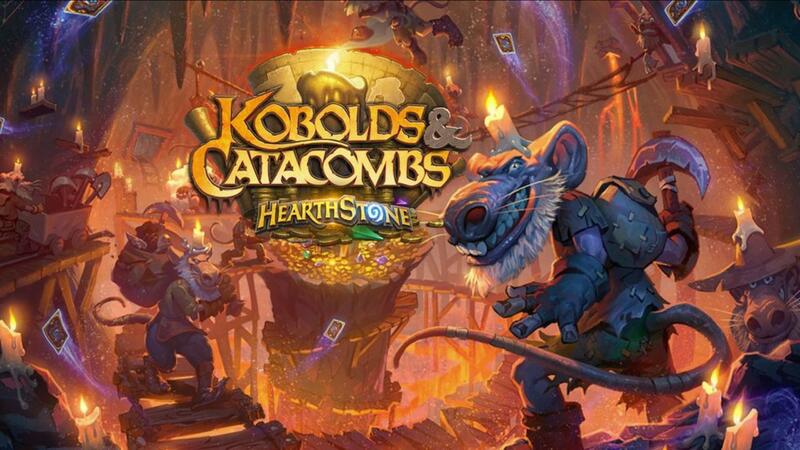 Kobolds and Catacombs has some great ideas, and I hope future expansions will each add something similar to Dungeon Run. HearthStone is still my favorite digital CCG, but I fully admit I'm a casual player and have no aspirations of topping the leaderboards. It's unfortunate, but it seems like the competitive side has gotten a lot closer to being the pay-to-win game people accuse it of being. If you're just looking to have some fun playing cards, stick to the Arena and Dungeon Run where the players with the deepest pockets don't have the advantage. It's a little on the nose how many money piles you'll see in the background of this expansion.